This page is currently displaying messages from Male or Female walkers aged between 18 and 100 who are looking for new walking friends for walks in Any Region. 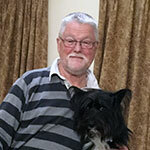 I am a Male Walker, in my early 50s, based near Chesterfield hoping to meet just Female new friends to go walking with. My Message: Hello, I'm Mark I enjoy walking and discovering places. I occasionally lead walks for my friends or just enjoy a walk on my own. Most walks end up with a pint or a meal. I'm looking to meet someone who enjoys the scenery and wildlife and enjoys a occasional challenge. I also do a bit of mountain biking now and then (no mad off road down hill routes). Look forward to hearing from anyone with similar interests. P.s. not having much luck downloading a new photo. I can cope with a little bit of scrambling if it is short and there are no steep drops. With regard to the weather, this is the UK so it's going to rain sooner or later isn't it? Fine with me, I've got waterproofs. I like walking with dogs but do not have one of my own. I'd say my map reading & navigation skills are pretty good. I can drive and have a car. I am a Male Walker, in my late 60s, based near Llanfyllin, hoping to meet both Male and Female new friends to go walking with. I sometimes get itchy feet and go up north Wales for a days walking, I'm not a peak bagger, but usually go somewhere with trig point,. Just about any type of walk interests me, I like Mountain lakes, Water falls and all the wilder places in Wales,. All replies to my message will be acknowledged,. Dan. When it comes to Scrambling & Edges I'm OK with the occasional edge or scramble but don't go looking for it. I'm happy to walk in most weathers but do not like snow and ice. I'm not bothered about dogs one way or the other. To be honest, my map reading & navigation skills are a bit averagely average. I can drive and have a car. 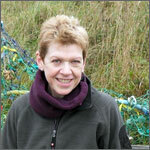 I am a Female Walker, in my mid 60s, based near Chatton hoping to meet both Male and Female new friends to go walking with. I really don't like Scrambling & Edges - they are defintely not for me. With regard to the weather, this is the UK so it's going to rain sooner or later isn't it? Fine with me, I've got waterproofs. I'm not bothered about dogs one way or the other. To be honest, my map reading & navigation skills are a bit averagely average. I can drive and have a car. 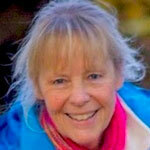 I am a Female Walker, in my early 60s, based near Thirsk hoping to meet just Female new friends to go walking with. My Message: Hello fellow walkers - I am looking for a female walking companion for leisurely walks in the countryside, around about about 6 miles or so in length, both in my home county of Yorkshire and further afield. I am not looking for a challenge but simply to enjoy the beauty of the countryside and the fresh air, with stops to admire the views and appreciate nature. Also enjoy coastal walks, rivers and canals. Tea and cake at a quaint teashop or even a pub meal would round off the day nicely. Definitely not a sporty individual, although I do enjoy swimming, I have varied interests including reading, the arts particularly theatre and cinema, crafts especially knitting, history and architecture, railways and vintage cars, travel both in the UK and abroad, animals especially cats. I have numerous walking books for my own area and have reasonable map reading skills. As I am now retired, I can walk on some weekdays, as well as on the weekend. I really don't like Scrambling & Edges - they are defintely not for me. I prefer warm, dry & sunny weather but can cope with the odd shower. I'm not bothered about dogs one way or the other. To be honest, my map reading & navigation skills are a bit averagely average. I can drive and have a car. I am a Male Walker, in my mid 40s, based near Herefordshire hoping to meet just Male new friends to go walking with. 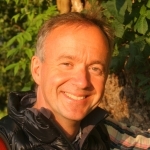 My Message: Hi, I'm Mark living in the Welsh borders in beautiful Herefordshire. Steadily ticking off the Welsh 100 ( peak bagging ) and also interested in Welsh Coastal path, Offa's and Wye Valley. Have CalMac'ed around the Outer Hebridies a couple of times and really want to do some more of Scotland. Available in school holidays and most weekends though appreciate some forward planning. Bothy's, hostels, B&B and campsites all good. When it comes to Scrambling & Edges I'm OK with the occasional edge or scramble but don't go looking for it. With regard to the weather, this is the UK so it's going to rain sooner or later isn't it? Fine with me, I've got waterproofs. Sorry, but I really do not like walking with Dogs. To be honest, my map reading & navigation skills are a bit averagely average. I can drive. I do not have my own vehicle but can borrow or rent one. I am a Male Walker, in my late 50s, based near Newcastle Upon Tyne hoping to meet just Female new friends to go walking with. My Message: Hello Im David,fit,well and young at heart,on the hunt for a friend for good crack, fun, adventure and lots of walking in the wilds, hopefully planned with a god pub at the end. Based in Newcastle upon Tyne, self employed, flexible and free most weekends, done lots of trekking in and around Northumberland, happy to go further afield and open to suggestions. Not done any camping but happy to give it a go. Genuine to the core, open minded glass half full type of guy in good tune with my spirituality hope to find like minded friend. I can cope with a little bit of scrambling if it is short and there are no steep drops. I'm happy to walk in all weathers - sunshine, snow, hail, wind & rain - bring it on. I'm not bothered about dogs one way or the other. If pushed, I'd say my map reading & navigation skills are rather poor at best. I can drive and have a car. 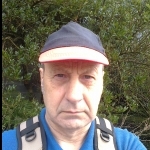 I am a Male Walker, in my mid 50s, based near Warrington hoping to meet both Male and Female new friends to go walking with. My Message: Hi I'm Neil, I'm a 54 year old male, I love nothing more than been out in the hills & mountains in all weathers. I enjoy been in the hills, no matter where, England, Ireland, Scotland and Wales. I spend virtually every Saturday out walking and would welcome some company, male or female, individually or in a small group. I am an experienced map reader (NNAS Tutor & Course Provider) and tend to start early to be out before the crowds. I mix my routes between The Wainwrights, The Outlying Fells, The Howgills, The Yorkshire Dales, North Yorkshire Moors, The Peak District and Snowdonia. I am a qualified Hill & Moorland Leader with the MTA; I have completed my Mountain Leader Course and planning to do my assessment in May this year. When it comes to Scrambling & Edges I'm OK with the occasional edge or scramble but don't go looking for it. I'm happy to walk in all weathers - sunshine, snow, hail, wind & rain - bring it on. I'm not bothered about dogs one way or the other. Even if I say so myself, I consider my map reading & navigation skills to be excellent. I can drive and have a car. 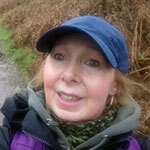 I am a Qualified Hill and Moorland Leader (formerly Walking Group Leader (WGL)) - Mountain Training Association. I am a Female Walker, in my late 30s, based near York hoping to meet both Male and Female new friends to go walking with. My Message: New to York (not quite as glam as New York, but hey ho) and completely carless, I'm looking to get out to the moors/dales and anywhere else. So, if you fancy being my taxi (or chauffeur, whichever you prefer), and daytime hiking sidekick, and you're between 35-45, give me a holler. *Serious, dull, non-adventurous folks who lack a witty sense of humour will last about 5 seconds with me. I revel in sarcasm, pish-taking banter and being with quick-witted people. Anything else is just like pulling teeth, and that's never fun, is it? *I might (probably will) faff. Whilst I don't walk slowly, I am known for getting hot/cold/hungry/hot/hungry/cold/hungry and having to faff because of it. Sergeant Majors will likely have a hissy fit. *If you insist on telling me all your 'incredible' long-distance walking expolits or 'bagging' experiences (I've got quite a few bags of the Osprey variety myself), you'll bore the merino wool socks off me. So please don't. *Getting lost is all part of the experience. I won't go ape if you don't. *Dawdlers can (slowly) move on to another profile. If you walk less than 3-4mph I'll get cold, sigh and walk off. It may or may not be in that order. 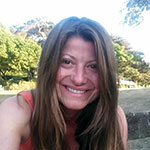 *I've been hiking since I was 'iccle and am strong, fit and enjoy challenging hikes of between 15-25 miles a day. Ambles bore the pants off me. *If I sound like a moaning minnie, I'm actually not. I'm really fun, talkative, creative and slightly mad. I'm moving to York in May 2019 so am available from then. Days I'm free vary, it might be weekdays or weekends. When it comes to Scrambling & Edges I'm OK with the occasional edge or scramble but don't go looking for it. I'm happy to walk in all weathers - sunshine, snow, hail, wind & rain - bring it on. I'm not bothered about dogs one way or the other. I'd say my map reading & navigation skills are pretty good. I don't drive. I am a Male Walker, in my mid 70s, based near Hereford hoping to meet both Male and Female new friends to go walking with. My Message: I am looking for a walking friend who may be retired like myself so that he or she is free to walk during the week as well as at weekends. I walk regularly with a number of groups but prefer to walk at my own pace so that I can stop, take photographs and admire views without being left half a mile behind. Currently my walking tends to be in Herefordshire, Worcestershire, Shropshire, Powys, Monmouthshire, Black Mountains, Brecon Beacons. I really enjoy multi-day linear walking and have done the Pennine Way, Wainwright Coast to Coast, Offa's Dyke, West Highland Way, Cotswold Way and Worcestershire Way. This year I will be walking the Cleveland Way with a Derbyshire based friend. Although my map reading skills are not brilliant I am proficient with satnavs and always carry a paper map and compass. I really don't like Scrambling & Edges - they are defintely not for me. With regard to the weather, this is the UK so it's going to rain sooner or later isn't it? Fine with me, I've got waterproofs. Sorry, but I really do not like walking with Dogs. To be honest, my map reading & navigation skills are a bit averagely average. I can drive and have a car. 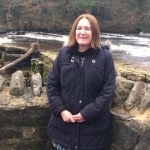 I am a Female Walker, in my mid 60s, based near North Yorkshire hoping to meet both Male and Female new friends to go walking with. My Message: I am passionate about the hills, wild places and like a challenge. I am an experienced hillwalker but equally enjoy social walks. I'm easy going and have a good soh. Semi-retired so can walk in the week as well as at week-ends. I usually walk with groups - or alone to practice navigation (which I am reasonable at). I've just moved to the Yorkshire dales and enjoying having some great walking on the doorstep. I have walked extensively in Scotland, Lake District, North Wales and Europe. 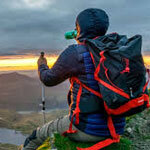 Im now seeking walking companions to do long distance paths (Coast to coast, St Cuthberts way, Pembrokeshire CP or Spanish Camino) and/or hillwalking in the Lake District. So if you're up for a challenge get in touch! I quite enjoy Scrambling & Edges but don't like too much exposure. I'm happy to walk in all weathers - sunshine, snow, hail, wind & rain - bring it on. I'm not bothered about dogs one way or the other. To be honest, my map reading & navigation skills are a bit averagely average. I can drive and have a car. I am a Female Walker, in my mid 60s, based near Farnham hoping to meet both Male and Female new friends to go walking with. Hello I'm a 63 year old female living near Farnham, looking to enjoy female/male company to explore the wonderful countryside that we live in. I consider myself fit and healthy and happy to walk near or far. Like to discover new places to walk. It would be great to meet fellow walkers who have a positive outlook and who have the ability to escape the more serious side of life with a little friendly banter. When it comes to Scrambling & Edges I'm OK with the occasional edge or scramble but don't go looking for it. I'm happy to walk in all weathers - sunshine, snow, hail, wind & rain - bring it on. I like walking with dogs but do not have one of my own. To be honest, my map reading & navigation skills are a bit averagely average. I can drive and have a car. Being In Friendly Company, Talking, Listening. Just Enjoying The Here And Now. 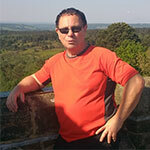 I am a Male Walker, in my early 50s, based near Manchester hoping to meet just Female new friends to go walking with. My Message: Hi.  I am 54 years old and from Manchester looking for a female walking partner. Love being outdoors and enjoy walking in the Lakes, Lancashire, Dales, Peak District and further afield. I walk all year round and in most weather. I have hiked a few Munros and would love to get some more climbed if you are up for that! Just as happy to walk river banks, reservoirs etc. and enjoy finishing the day in a country pub. When it comes to Scrambling & Edges I'm OK with the occasional edge or scramble but don't go looking for it. I'm happy to walk in all weathers - sunshine, snow, hail, wind & rain - bring it on. I'm not bothered about dogs one way or the other. I'd say my map reading & navigation skills are pretty good. I can drive and have a car. I am a Female Walker, in my late 50s, based near Perthshire hoping to meet both Male and Female new friends to go walking with. My Message: Hi, I live in Perthshire and have spent many years walking the hills in Scotland and abroad both with friends and animals (dogs). Over the last few years I have not been able to maintain that level of fitness, so now find myself starting at the beginning again. Would love to meet up with new friends who would like to join me getting back to fitness and enjoying nature and the hills once more. Initially would be looking for slower paced, shorter walks and would love to have the company of a dog once more, so if you have a dog, even better!!! If what I have said appeals then please drop me a line and hopefully we can find some great walks together. When it comes to Scrambling & Edges I'm OK with the occasional edge or scramble but don't go looking for it. I'm happy to walk in all weathers - sunshine, snow, hail, wind & rain - bring it on. I like walking with dogs but do not have one of my own. If pushed, I'd say my map reading & navigation skills are rather poor at best. I can drive and have a car. I am a Male Walker, in my early 50s, based near Kirriemuir hoping to meet just Female new friends to go walking with. My Message: I am Bas and a member of go4awalk.com I live close to the Angus Glens and The Cairngorm National Park. I often walk on my own up to about 5-7 hours. I have walked in other parts of Scotland and the rest of the UK and did among others the Ben Nevis, Ben Lomond and recently the Snowdon (Wales) I am planning to do more walks elsewhere in Scotland and the UK. I also like walking abroad during my holidays. If you are ever interested in doing walks in Scotland (or elsewhere) just let me know. When it comes to Scrambling & Edges I'm OK with the occasional edge or scramble but don't go looking for it. I'm happy to walk in all weathers - sunshine, snow, hail, wind & rain - bring it on. I'm not bothered about dogs one way or the other. I'd say my map reading & navigation skills are pretty good. I can drive but do not have access to a vehicle. I am a Female Walker, in my late 60s, based near Wrea Green, Lancashire hoping to meet both Male and Female new friends to go walking with. My Message: Hi, I am looking for new walking friends, either male or female, to share walks in Lancashire/Yorkshire and the Lake District. I am retired and in my mid-60's and live on the Fylde coast at Wrea Green but I also have a base in the South Lakes. 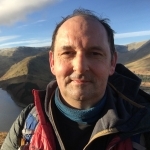 I am an experienced hill walker with many years experience of climbing, walking and scrambling in the Lake District, Scotland and abroad. I no longer climb but still enjoy the hills and lower level walks with my 9 year old Collie dog, Mattie. I love being in the outdoors, exploring new areas and enjoy all levels of walking from hills, valleys to coastal walks and keen to find like minded people to share those walks with. I am currently part way through the Wainwrights. I also go up to Scotland once or twice a year and would like to share these trips for Munro or Corbett bagging. My hobbies are watercolour painting, gardening, geology (fossil hunting) and anything arts and crafts. When it comes to Scrambling & Edges I'm OK with the occasional edge or scramble but don't go looking for it. With regard to the weather, this is the UK so it's going to rain sooner or later isn't it? Fine with me, I've got waterproofs. I like walking with dogs and will bring my own. Even if I say so myself, I consider my map reading & navigation skills to be excellent. I can drive and have a car. 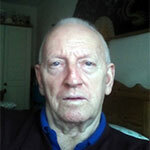 I am a Male Walker, in my late 60s, based near Guildford hoping to meet just Female new friends to go walking with. My Message: Hello, my name is Andrew, i am looking to find a female companion that i can share walks with, love nature and wildlife, I am retired and i will gladly share more information with interested parties.Thankyou Happy walks and talks! 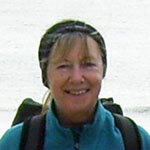 I am a Female Walker, in my early 60s, based near Settle hoping to meet both Male and Female new friends to go walking with. .... one who might encourage me to try new walks and more challenging ones - and be happy to take a welcome break on the way or at the end. So if you like walking on my side of the lakes, by national park, Bowland forest or Malhamdale please get in touch. Occasionally further afield is fine too. As I live in great walking country I seldom drive far to walk & prefer that. I will walk up to 8 -9 miles but im happy with a 4-6 mile - a lot depends on time or terrain. I like to set off in the dry when the views are sharp & be prepared for rain if I must. I generally know my walking paths (& like to be near water ) - that's why im unused to map reading - but can if I must. I don't mind dogs if kept on a lead. I am a Male Walker, in my late 60s, based near Gloucester hoping to meet both Male and Female new friends to go walking with. My Message: Hi, my name is John. My friendly adopted walking companion is, at the moment, Bobby. 😊👍 but with a little bit of good fortune he may also meet a new friend. We go for walks most days some short and some over 10 miles depending on other arrangements. Last few weeks we have been walking the Somerset levels. Where England's history began, and was inspired for the first time to write a poem to try and put into words my love for the outdoor life. I can cope with a little bit of scrambling if it is short and there are no steep drops. I'm happy to walk in all weathers - sunshine, snow, hail, wind & rain - bring it on. I like walking with dogs and will bring my own. I'd say my map reading & navigation skills are pretty good. I can drive and have my own Campervan/Motorhome. I am a Female Walker, in my mid 50s, based near Birmingham hoping to meet both Male and Female new friends to go walking with. I am a Male Walker, in my early 50s, based near Malvern hoping to meet both Male and Female new friends to go walking with. 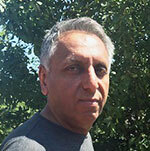 My Message: I'm looking for a walking partner for local, regional and national walks. Maybe also overseas! I've recently moved to the Malvern Hills area and there is some nice walking here, so do come and visit! I enjoy all kinds of walks, from low level meandering along a wooded valley to scrambling in the Lake District. I also like camping! I love Scrambling & Edges - the more exposure the better. I'm happy to walk in all weathers - sunshine, snow, hail, wind & rain - bring it on. I'm not bothered about dogs one way or the other. Even if I say so myself, I consider my map reading & navigation skills to be excellent. I can drive and have a car. 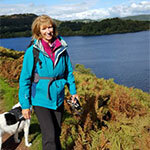 I am a Female Walker, in my late 50s, based near Wigan hoping to meet both Male and Female new friends to go walking with. My Message: Hi, my name is Julie, I am single, 59yrs old, a secretary in a school (so lots of lovely holidays) and enjoy walking. My friends unfortunately aren't really keen on walking and I would like to find someone/small group of friends/like minded people to go out for the day or weekend exploring the countryside, preferably at weekends. I was an assessor with the Duke of Edinburgh so can read a map reasonably well. Would like to think I am good company, good fun, easy going, enjoy a good laugh and a lively debate. 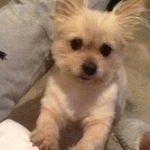 I do have a small dog, so must like dogs. Would really enjoy some good company and to the end the day in a nice pub with good food and a well earned glass of wine. ps I haven't done much walking for a while, so a little unfit. When it comes to Scrambling & Edges I'm OK with the occasional edge or scramble but don't go looking for it. With regard to the weather, this is the UK so it's going to rain sooner or later isn't it? Fine with me, I've got waterproofs. I like walking with dogs and will bring my own. To be honest, my map reading & navigation skills are a bit averagely average. I can drive and have a car. I am a Female Walker, in my late 40s, based near North Wales hoping to meet both Male and Female new friends to go walking with. My Message: I like nothing more than a day walk, any time of year, whatever the weather. I prefer a more challenging walk over a stroll. I love being amongst nature, I find it very calming and grounding after a set of shifts. I'd like to find a fit walking friend who doesn't mind what the weather brings. I am not looking for a relationship, just a likeminded individual to share some pleasant hikes with. I enjoy ridge walks and have done the CMD arête, Crib Goch, Aonach Eagach and lots of the other main ones. Scrambling is a passion too - the Wildboarclough one is my favourite to date! I work unsocial hours and three weekends out of four at present (good old nhs) but have plenty of free days midweek. I love Scrambling & Edges - the more exposure the better. I'm happy to walk in all weathers - sunshine, snow, hail, wind & rain - bring it on. I'm not bothered about dogs one way or the other. To be honest, my map reading & navigation skills are a bit averagely average. I can drive and have a car. 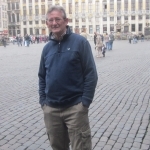 I am a Male Walker, in my mid 60s, based near Kent hoping to meet both Male and Female new friends to go walking with. When it comes to Scrambling & Edges I'm OK with the occasional edge or scramble but don't go looking for it. With regard to the weather, this is the UK so it's going to rain sooner or later isn't it? Fine with me, I've got waterproofs. I like walking with dogs but do not have one of my own. To be honest, my map reading & navigation skills are a bit averagely average. I can drive and have a car.